Vikram, who is shooting for Thandavam, is one actor who can shape his body according to his roles. Be it a gym instructor in Rajapattai or an adorable “special“ dad in Deiva Thirumagal, he makes sure that his body suits the role. And according to Alkhas, “You have to consider many aspects while making a movie, to help someone get a good body, you need to be very careful. 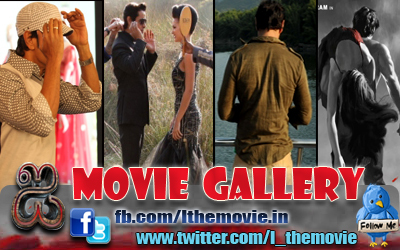 Vikram is one of the actors who will go to any extent to suit the role. 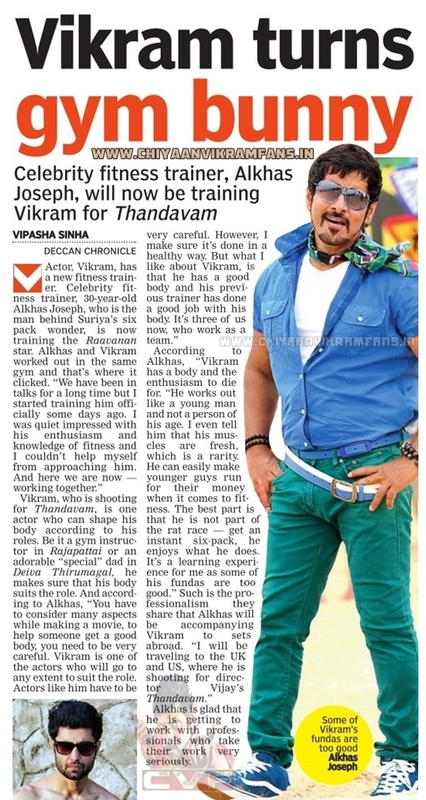 According to Alkhas, “Vikram has a body and the enthusiasm to die for. “He works out like a young man and not a person of his age. I even tell him that his muscles are fresh, which is a rarity.He can easily make younger guys run for their money when it comes to fit ness. The best part is that he is not part of the rat race -get an instant six-pack, he enjoys what he does. Alkhas is glad that he is getting to work with professionals who take their work very seriously.